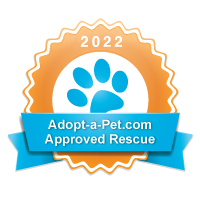 Kisses and Paws, Inc. is a registered non-profit 501(c)(3) Animal Rescue in California and St. John, US Virgin Islands. Our mission is to help care for homeless and neglected animals, place them in loving homes, educate the public about the importance of spay and neuter and the crisis of animal over-population, and to advocate for a better life for all animals. Help us be their voice! Animals we have helped find their forever family!